Welcome to Year 3 and to the start of Key Stage 2! On this page I will share helpful learning links with you as well as photos of our learning. I will also upload your weekly spellings for you. More information about the Year 3 curriculum this term can be found in the paragraph below. Please don’t hesitate to let me know if you have any questions and don't forget to leave a comment at the bottom of the page. In English, we are going to be studying play-scripts this term. We will be learning about William Shakespeare and having a go at acting out parts of his play ‘A Midsummer Night’s Dream’. We will continue to work on our ‘performance skills’ when we perform poems aloud to our classmates. This will be in celebration of ‘World Poetry Day’ on the 21stMarch. We will also be writing recounts and instructional texts this term. In Maths, we are going to tackle ‘fractions’! By the end of this term we are working towards knowing how to find the fraction of both shapes and numbers. We will work on tenths, adding and subtraction fractions as well as identifying equivalent fractions. Finally, we will finish off the term by returning to ‘time’ when we learn how to use clocks with Roman Numerals and knowing how to use the 24-hour clock. In Computing this term, we will continue with our ‘programming’ when we use both ‘Scratch’ and ‘Lego Wedo.’ Our Science topic will answer the question ‘How do plants grow?’ This is a topic that will bridge both Term 4 and 5. In History we take a look at the ‘Romans’. We will learn all about how they have impacted British history. We will learn about Romans in battle, their homes and leisure pursuits, what they wore and even what they ate. We will enjoy not only a Roman battle this term but also a Roman Banquet that will include our home-made bread. During our Art sessions, we are going to create our own Roman mosaics as well as still life drawings of flowers. In Music. we will be exploring stories through well-known pieces of music such as ‘The Carnival of the Animals’ and ‘Peter and the Wolf’. This term Mr. Leach will be teaching the children football during their P.E. sessions. This will involve developing their agility, coordination and control. In R.E. we will finish our ‘Christianity’ topic. We will also learn about the Hindu Festival of Holi which takes place this term as well as looking at the Christian celebration of ‘Easter’. In PSHE we will learn all about the theme of 'fair and unfair'. This will link to a focus on Fair-trade this term...we will even be 'taste testing' fair-trade foods! Visit the sites below to find out more about this term's topics. Below is a site with lots of games to help you learn your times tables. There are also a couple of games to play to help with number fact knowledge. Have fun! Here are your spellings for this week. You will be tested every Wednesday. Remember to use your 'Dicey' spelling strategies or 'read, cover, write, check' to help you to learn them. Good Luck! We have competed our 'Romans' topic in style today by holding a Roman banquet. The children have cooked their own Roman bread this week. They then got the chance to eat it as part of a Roman meal. We were really impressed with how adventurous they were when it came to trying new foods! We have been creating our own Roman mosaics this week! They are taking a long time because we are taking a lot of care with them to ensure they are precise. More photos will be added when we complete them! The children have produced some amazing Roman shields this week! They were brilliant! We have learned all about the Romans in battle. We learned about how successful they were and about some important soldiers and emperors that led them into battle. We also learned about some of their fierce opponents, e.g. Boudicca. After that we took our shields outside to create some of the battle formations that the Romans used in order to defend and attack. The children had a go at marching and some of them barked orders in Latin! Finally, the children recreated the battle between the Romans and Boudicca and the Iceni Tribe. What an exciting afternoon! Today was ‘World Poetry Day.’ The children have worked incredibly hard to learn a poem off by heart and today they performed them for their classmates. Some children even performed them in assembly! They were outstanding performance poets and impressed everyone with their confidence, rhythm and expression. What amazing children we have! We had a wonderful time at the Roman Baths on Friday. The children got to create mosaics, dress as a Roman and handle artefacts. They then explored the museum including looking around the Roman Bath itself. The children behaved excellently and were a real credit to our school! Thank you to all the parents who were able to come with us! The children have completed their 'Shakespeare' focus this week. Their final task was to create a play script for the play 'Pyramus and Thisbe' which is the 'play within a play' featured within 'A Midsummer Night's Dream'. They acted out the play first and then broke the story into 'scenes' They then wrote the script using stage directions and scene descriptions. We've enjoyed doing some ‘taste-testing’ this week! We have tried some Fair-trade and non-Fairtrade chocolate and bananas in order to establish whether they taste different. It was an excellent excuse to eat a little bit of chocolate! The children thought that the Fair-trade items were of a better quality, had better texture and tasted better! The children continued to learn about Shakespeare and writing play-scripts today. The best way to learn about the layout of a play-script is to act one out…so we did! We have some talented little actors and actresses amongst our children! STEM week continues! Today we have completed our Magnetic games. Some children chose to create a maze game where a magnetic playing piece could be directed around a pathway. Others created a race track with more than one playing piece. After that we discussed whether 'Iron' in our cereal is actually proper iron. The children didn't think that could be right but knew that we could test the idea by exploring with a magnet. We used a magnet to extract iron out of some cereal and found that it really is 'IRON'! We then found out that in an average human body, there is enough iron to create a large iron nail! To complete our 'STEM' filled day, we explored ideas for bending water without touching it. We thought of lots of theories but none that were quite right. Then we were shown how we could comb hair or rub a balloon on our head to create lots of static charge. This 'charged' object was then placed next to the water and it made the water bend! We have had lots of fun! We were joined by Dara today who works for Rolls Royce. He was here to talk to us about the Bloodhound project.The Bloodhound Project is a global engineering initiative, using a 1,000mph world land speed record attempt to inspire the next generation to enjoy, explore and get involved in science, technology, engineering and mathematics. He told us all about a supersonic jet propelled car and the ‘forces’ it experiences. Key Stage Two then went back to their classrooms to create their own miniature versions…propelled by balloons! They weren’t quite as fast as a ‘jet propelled’ car but we had fun making them anyway! After break, we returned to the hall where all of the Key Stage Two children had a go at racing their creations. Class 3 secured second place and we all enjoyed the excitement! We were visited by one of our wonderful parents today. As part of STEM week we welcomed in Sia (Katerina's mum) to tell us about her job working as a robotics engineer. She showed us pictures and videos of robots doing all kinds of amazing things! She told us a little about what she does and explained that her work involves Science, Technology, Engineering AND lots and lots of Maths. Sia then introduced us to 'Rob-E' who is her little robot that can be programmed to follow instructions. It had sensors on it so that it reacted to visual obstacles as well as sound. We are hoping she will come and visit us again to tell us more! The children have been working on their 'measuring skills' today. First they explored various items used for measuring and decided what they were used for: weight, length/depth/height, volume, capacity, temperature or time. We discussed what unit of measurement could be used for each category. We then explored the question 'who is the tallest in our class' by measuring all of our children. They worked on converting length between metres, centimetres and millimetres. Finally, we will work on translating our findings into frequency tables and bar charts. Then we will ask and answer questions to explore what our data shows us. We have been so impressed with the amazing examples of home learning that has been given in this week! We asked the children to carry out a project on one area of Stone Age life that interested them. Each of the children has completed their project in a creative and unique way and the results are superb! Great work Class 3! Class 3 partnered up with Class 1 today to work on their technology and engineering skills. We were visited by professionals from Peter Brett Associates who work on engineering, economic and urban planning projects. They told us all about how they use recycling for building materials. They use old plastic bottles filled with recycling which make very strong bricks (known as eco-bricks). They also showed us how they can layer old newspapers and even used nappies (!) to create materials similar to planks of wood. Other recycled materials are used to make 'plasphalt' and panels can be made using old wine corks. They worked with us on thinking about what a 'city' needs. The children created their own illustrations of their perfect city. We then worked in our mixed age groups to create these cities using recycled materials. The Class 3 children were an absolute credit to our school. They were patient, kind and supportive of our younger children. They also showed themselves to be excellent 'urban-planners' with wonderfully creative ideas! Class 3 have worked incredibly well in teams to create their own 'Stone Age' cave painting 'works of art'. We have been blown away by how efficiently they have worked with each other. They have looked closely at example pictures and they have also looked at real photos taken of cave art found in Spain and France. They have thought carefully about what the art might teach us about our ancient ancestors and the way they lived. Class 3 have been busy this week creating their own short animations using 'Lego Animation' on the iPads. Their animations were inspired by our class book 'Polar Bears Explorers Club' which we are really enjoying! We are now half way through our new class text: 'The Polar Bear Explorers Club'. We are all really enjoying it and it is serving as a wonderful inspiration for our own creative writing. Below are just a few examples of the children's writing. The children are focusing on descriptive phrases, complex sentences, inverted commas and similes this term. They are really challenging themselves and impressing everyone! We have produced some beautiful artwork this week using chalk pastels. Our Inspiration was the prehistoric monument of 'Stonehenge'. The children have been exploring 'magnets' this week. We have been investigating 'magnetic poles' and checking which poles repel or attract each other. We will continue to look at magnets next week. We will test which materials are magnetic and how strong our collection of different magnets are. This term we will spend some time working on portraiture. We will look closely at the proportions of the face, the fine details that we need to include and have a go at drawing from photos and real people (our classmates)! We are becoming used to producing more than one draft of the same thing because we know that we can make improvements. We are already creating wonderful portraits. To complete Term 2 Class 3 have been doing some baking! The children worked together to make some 'Malt choc chip cookies'. They were delicious! Happy Christmas everyone! Class 3 have been busy making pneumatic monsters this week as a final fun activity to finish their second term. They've worked together to attach syringes and tubing to their monster in order to make their creature's mouth open and close using air pressure. The children were set the timed challenge of creating their own Egyptian shadufs today. A shaduf was an ancient Egyptian watering system. A bucket was lowered into the River Nile to collect water and then rotated around to drop the water into an irrigation channel to send to where it was needed. The children were given limited time and resources. However, they worked efficiently with their teams to draw planning diagrams and then to create their models. They then worked together to evaluate their finished creations and discuss how they could improve their next prototype. 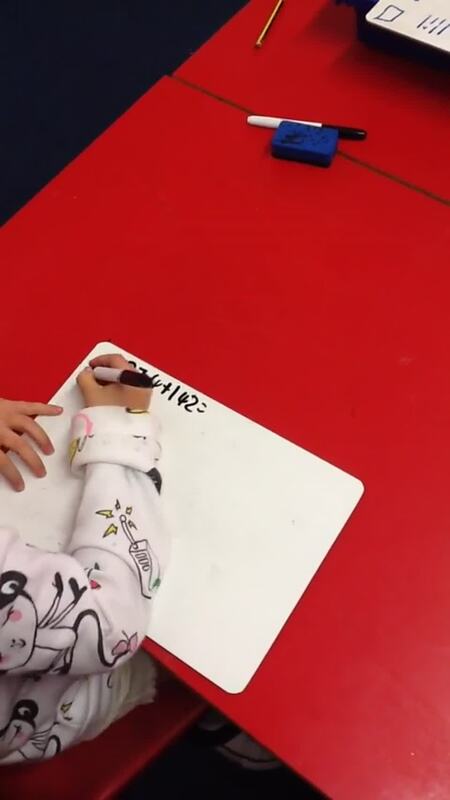 We have been learning new methods for subtraction this week. The children have now learned how to use column/compact subtraction. They know how to 'borrow' from the next column of digits and have even begun to do this when 'more than one' borrow is needed. Don't forget that there is a helpful video above in the 'links' to remind us how to use this strategy. The children have been creating their own shadow puppets this week as part of their Science/D.T. topic. They have used their knowledge of opaque and transparent materials to plan their puppets carefully. They then used their finished creations to put on mini performances for the rest of the class! The children have done a superb job on their homework this week. They were asked to research the Egyptian 'Gods and Goddesses' and create a project to tell us about what they had found out. Each child had created something impressive and unique which meant that when they were presented they were all different. The children created information booklets, posters, artefacts, models, scrolls and powerpoint presentations. Every single one was excellent! Well done Class 3! This week we have been learning about how 'light' travels. We had to answer the question 'How can we see behind us using a mirror?' so we created physical pictures of how the light moves in straight lines. We now know that the light reflects off objects (including the mirror) and into our eyes to allow us to recognise and 'see' the object behind us. This week we have enjoyed a theme week. It has been National 'Anti-Bullying Week' and we have been discussing what bullying can look like. We reminded ourselves that bullying is repeated, deliberate and hurtful. We have also talked about what we can do to deal with bullying. Our discussions included talking about 'cyber-bullying' and how to handle situations online. We have embraced the theme 'Choose respect' and we have promoted this message across our school by thinking about how we can show respect for others in each area of school life. Our second theme this week was 'Democracy and Parliament.' We have learned all about the importance of freedom of speech and expressing our opinion in the right way. We have learned about voting and carried out a vote to elect our School Council and Green Team representatives. We then learned all about Parliament and MPs. We created our own political parties and campaigned for changes we felt should happen in our school. We then voted for the political team that convinced us that they had the best ideas. Class 3 then created their own 'Mini Parliament' where we carried out some intense discussions about important topics such as 'Should Hotwells have a school uniform?' and 'Should each class be given a school pet'. 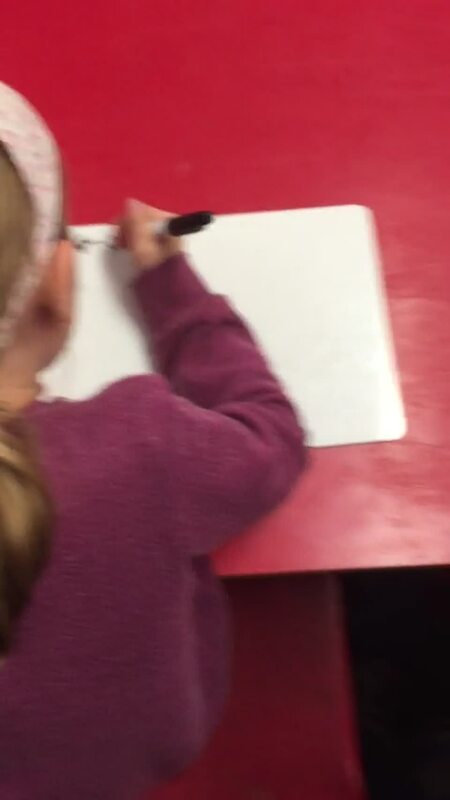 The children took this very seriously and worked on their persuasive techniques to convince the opposing members of parliament to change their mind. Well done Class 3. Once again you have shown yourselves to be articulate and mature young individuals with strong views and respect for the opinions of others. Class 3 took advantage of the lovely Autumnal weather on Friday when they took their music lesson outside. They have been working together to produce a percussion performance that represents a section from our 'Pebble' story. They chose an appropriate percussion instrument to play the sound they wanted to demonstrate. This might have been thunder, rocks shifting and cracking or perhaps raindrops dripping. They have worked on playing the beat and also playing different rhythms to decide what best fits their part. Each group then worked on their composing skills to decide how to layer their performance and how each performer would begin and end their music. All in all, they have shown themselves to be experts in percussion after a very short time rehearsing! Class 3 have produced some wonderful artwork this term. Some of their work is now on display in the school hall as part of the West Bristol Arts Trail. We have finished off our week by producing some amazing chalk pastel Volcano eruptions inspired by an unknown artist. They have learned to create different patterns with the pastels by alternating the direction of pattern. They have also worked on the blending of colours to create different textures. The children visited the Bristol Museum this week to learn more about both their 'Rocks and Soils' topic and the 'Ancient Egyptians'. We began our visit by exploring the 'Minerals' exhibit. We found some amazing fossils and saw some of the rocks that we have been learning about in Science. We then headed into the 'Ancient Egypt' exhibit where we saw an array of wonderful artefacts. We couldn't believe that all of the treasures were thousands of years old! We finished our visit with a workshop carried out by a museum professional. This involved looking more closely at 'replica' artefacts that taught us more about the lives of the ancient Egyptians. This was closely linked to the Bristol based Egyptologist 'Amelia Edwards' who discovered many of these objects during her excavations throughout Egypt more than 100 years ago. 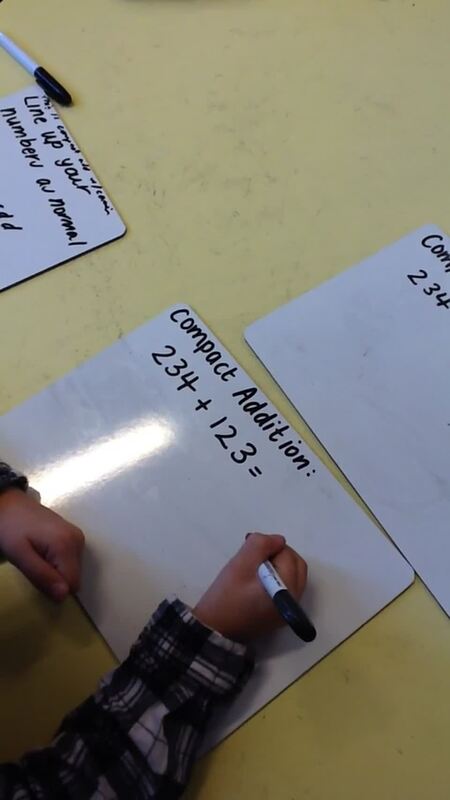 Below are some videos showing you how to carry out some of our addition methods. They should help you to complete your homework this week. The videos include picture methods, expanded method, vertical partitioning and compact method. We have been very busy exploring each strategy and hopefully you're starting to feel a little more confident with adding. Good luck! We had a very special 'Show and Tell' today. We were visited by Brian and Joshua who shared some amazing facts about rocks! Brian is a Geologist who works at Bristol University. He very kindly offered to come and talk to us about what he does and he bought with him some AMAZING rocks for us to look at! They were out of this world...literally! One was a piece of meteorite! The children have been enjoying the warm sunny weather (whilst we have it!) during their P.E. lessons with Mr.Leach. They have been playing invasion games which will work on their ability to think tactically. It will also help to improve their agility, coordination and teamwork. Our children have done some collaborative learning this week. Our wonderful Year 4s have partnered up with some of our Year 3 children to hear them read each week. The Year 4s are going to use their own skills to advise them on improving their expression and fluency. As a whole class we have also partnered up with Year 5. Year 3 have shared some of their writing and then they worked together to 'polish' it. Editing is really important in order to become accurate and skilled writers. The way in which our children of different ages work together has made me feel incredibly proud. They genuinely understand the importance of being constructive and sensitive in their feedback to help others learn. What special children we have! The children have begun to prepare their artwork for the approaching 'Art Exhibition'. They have used their colour mixing skills to create some vivid and eye-catching Egyptian sunsets as well as using chalk pastels to draw some Egyptian Pharaohs. To link to their 'Rocks and Soils' topic they have also done some 'fossil' inspired ink printing. What a talented bunch they are! On Friday it was International Day of Peace. We talked about what 'peace' means and thought deeply about what it might be like to grow up without experiencing peace. Class 3 recognised that peace is vital to everyone's well-being and that we can help to spread peace by being thoughtful towards others on a daily basis. We thought that this was very important in order to make our school a happy place for ourselves and others. To spread the word about 'peace' the children created some wonderful posters. The children have been using their 'observational' skills today to draw detailed pictures of some Igneous rocks such as Basalt, Gabbro, Granite, Obsidian and Pumice. This is a tricky task but they took their time to ensure their pictures were as accurate as possible. They now know all of the types of rock and will continue to learn about how each one is created over the next few weeks. 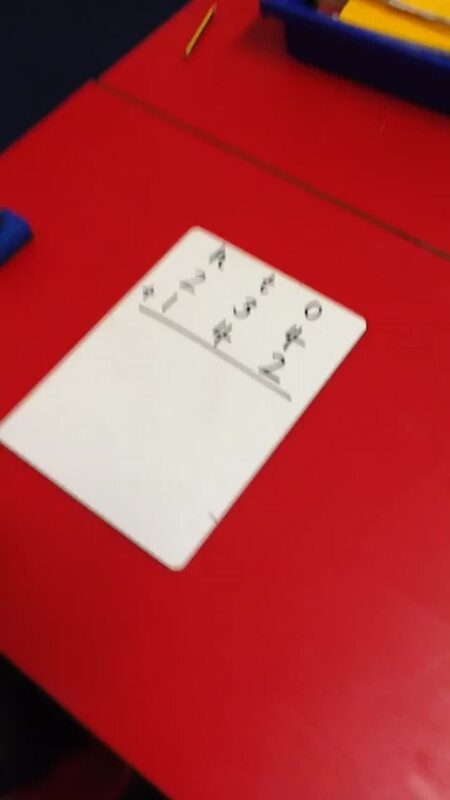 Class 3 have been working hard on consolidating their place value knowledge this week. They have secured their understanding of comparing and ordering numbers up to 1000 as well as knowing what each digit represents. 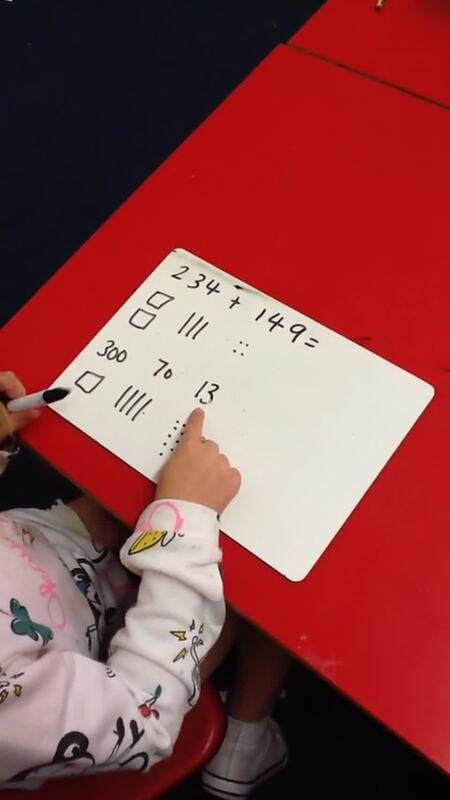 The children have also worked hard on quickly identifying numbers that are 10 or 100 more or less than any given number up to 1000. 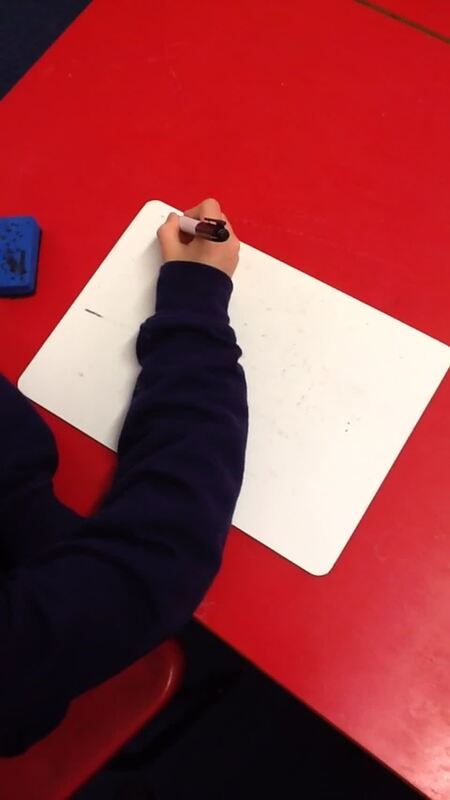 In Class 3 they will work on explaining 'how' they have reached an answer and 'why' they believe it to be accurate. This kind of reasoning discussion will give them a deeper understanding of the maths that they carry out. Class 3 have been learning about how intrusive and extrusive Igneous Rocks are formed. They have learned all about how volcanoes erupt and have worked hard at creating some scientific diagrams to demonstrate their knowledge. We have already made a super start to our year. We have started most of our topics already and I'm really impressed with how grown up you have become! We've been getting our hands messy this week when we had a go at paint mixing. We have learned what the primary colours are and how to use them to create secondary colours. We have also had a go at creating different shades of the same colour. This will be useful next week when we create some sunset pictures. Your wonderful paint mixing has already been displayed in our classroom helping to make it vibrant and cheerful...just like you! We'd really like to hear what you are enjoying about being in Year 3. You can share your thoughts and ideas by adding a comment using the Guestbook below. Hello! If you are reading this and you consider going here then you came to the correct place! Me and Layla are writing this on chrome books at school. It's an amazing place! Love from...Mersina and Layla! I loved that we learned the Romans! We're really sad to stop doing Romans-but we're really excited to start doing rain forests! I loved the Romans and our shields that we made!!!!!!! I LOVED the Roman Baths! Where are we going on our next trip? Gosh! That is very long. It took like 30 minutes to get to the bottom. When are we next doing art? Bye! The Stone Age certainly has been an amazing topic to teach so I'm glad you've enjoyed it. Next term we move on to the Romans which is completely different to the ancient civilisations that we have previously learned about. I think you'll enjoy it!